Gag manga about a young "elite" man who has a policy of not being in debt to anyone. But he ends up owing his life to a strange girl who saves his life. 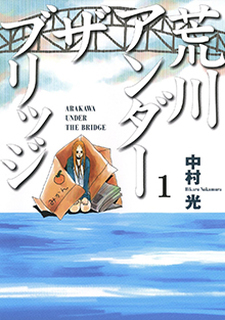 Nino, the girl, believes she's a martian & lives under the bridge by the Arakawa river. So the young man ends up living there too.